Victoria Square/ Tarntanyangga Urban Regeneration Project by TCL (Taylor Cullity Lethlean). 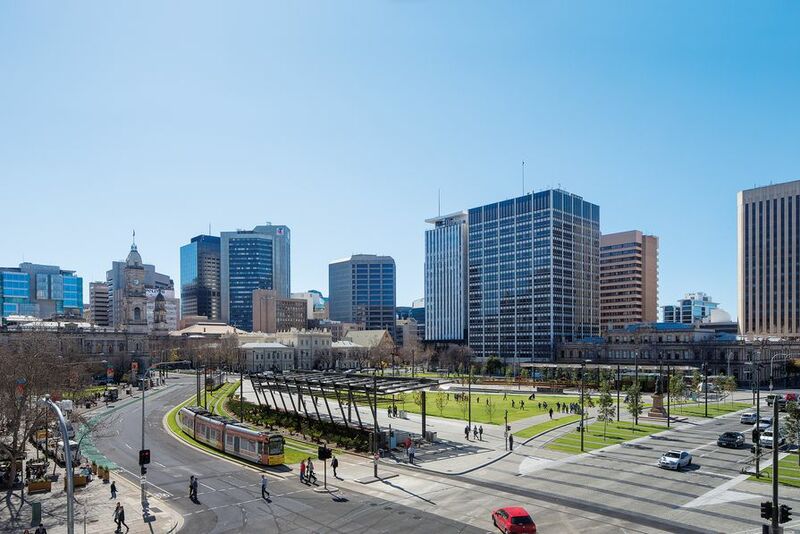 Victoria Square/Tarntanyangga is an urban regeneration project with a bold vision to create a focused heart in the centre of Adelaide. With a brief strong on futureproofing and flexibility, the project team has had to be creative in its interpretation of community needs. The resulting project facilitates everyday community expression, supporting a wide variety of festivals and community events. From intimate seating for a quick business lunch to large open spaces that accommodate concerts, the design is adaptable, moveable, temporary and permanent all at the same time. It provides a new hub for the city, benefiting small local businesses, and it embraces its Aboriginal and cultural heritage to provide for recognition and reconciliation. It’s a space for a dynamic city that embraces people of all ages and walks of life, encouraging them to commune, celebrate and reconnect with each other.